Today, we were came across something that is a once in a year offer and wanted to share it with you as soon as possible! This highly collectible and rare offer is a one chance opportunity to get a hold of something truly special and impressive that is difficult to obtain. We were able to procure a very small amount of this outstanding single vineyard Brunello that has the critics going crazy and you have an opportunity to bring some home this week! Collectors, this wine is a legend in the making for your cellar. There are no guarantees on availability, so act quickly if you want to reserve it. Chances are it won't last past this afternoon. 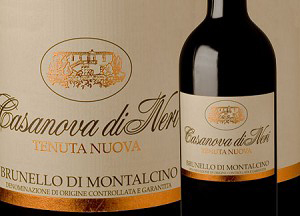 "Casanova di Neri's 2013 Brunello di Montalcino Tenuta Nuova is celebrating its 20th anniversary (1993-2013), and a special gold-label edition of the wine was made to commemorate this important milestone. I tasted the white label for this review. This is a bold and expressive Brunello that displays tightly knit aromas of Morello cherry, spice, leather and balsam herb that are the building blocks of the most beautiful Brunellos that come to mind. The Casanova di Neri house style implies a modern and sophisticated approach for sure. But the inner spirit and texture of Sangiovese is so fine and polished in its natural state that it hardly matters. 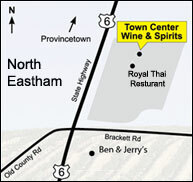 The personality of the grape shines through with a loud and confident voice." "Sweet, ripe strawberry and cherry fruit melds seamlessly with the dense, refined structure of this red. Saline, licorice and spice accents add complexity as this lingers gracefully on the finish. Terrific harmony and expression. Best from 2021 through 2037. 5,831 cases made." Limit of Only ONE six pack per customer.